An experienced Madison area home builder you can trust. 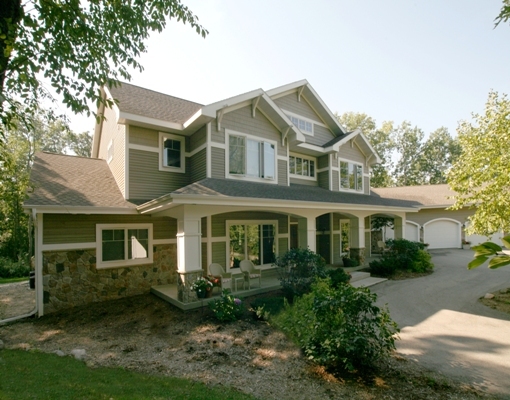 Thompson Custom Builders is a premier custom home builder in the Madison area. A company built on a reputation of quality and customer satisfaction, Thompson Custom Builders is the right partner to choose to make your custom home, renovation or remodeling project become a reality. Thompson Custom Builders offers a wide variety of services and has extensive experience with building styles. With over 31 years of experience, our home projects have included new home construction, additions, remodeling, and farmhouse restoration. Design details have featured custom style spiral staircases, wine cellars, home gymnasiums, waterfalls, renewable energy systems and solar radiant heating among many others. We work with architects and engineers to insure that every detail is addressed to provide you with the highest quality within your budget. Conversations are where it begins. We welcome you to contact us to visit about how we can provide the right balance of affordability, craftsmanship, and expertise to make your project a reality. Thompson Custom Builders consistently exceeds many building codes in critical areas of the construction project. Stiffer floors, straighter walls with engineered studs, and better insulation values just to mention a few of the many items that are standard benchmarks with Thompson Custom Builders. Your new home is built as a Wisconsin Focus on Energy qualified home. Attention to detail and reliable communication from the beginning of the design to the day you move in is a main focus of our process.